Racism is still the very air we breathe in the USA, founded as it was on colonial settler violence against native people, and built as it was by the sweat and blood of enslaved Africans. 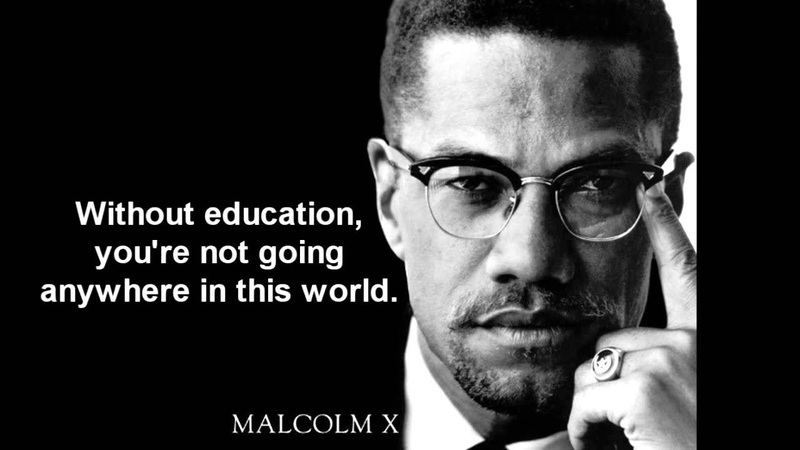 As we remember the sad anniversary of the government-sponsored assassination of Black leader Malcolm X, I recall the best lesson on racism that my children ever received. My older kids went to the Margaret Chase Smith School in Skowhegan, Maine, hometown of the plucky woman who stood up to Joseph McCarthy's Communist witch hunt during her first term in the U.S. Senate. It was a school with only 5th and 6th graders and they were fortunate to have some great teachers there, including Mrs. Richter for social studies and reading. My children are from a racially diverse family. My parents were of northern European stock with a smidgen of Indian (hidden and denied, mostly, but not by my mom). My oldest son's other grandfather grew up on Staten Island in a Black community. He was of mixed race and so light skinned that the recruiters tried to wave him into the white group when he enlisted to fight in WWII. But he refused to pass, and instead went off to war with other Black men in the segregated U.S. Army. A Japanese woman met and married him, and their child was my son's father. On annual book character day at the MCS School, my oldest son chose to read The Autobiography of Malcolm X and then come to school as that character. Yes, his costume did involve a little dark pancake makeup plus an eyebrow pencil goatee, a pair of thrift store nerd glasses (not yet trendy), a white collared shirt with a skinny black tie, and black dress pants. My son wrote a speech using Malcolm X's actual words (hooray for Mrs. Richter for teaching research skills to 5th and 6th graders!). He gave a fiery speech at the podium including a quote he was quite excited about: "We didn't land on Plymouth Rock -- the Rock was landed on us!" Maybe if the Daughters of the American Revolution blue-haired ladies that were the judges had known he was descended from a passenger on the Mayflower, my son might have had a chance. Instead, a girl with wire in her pigtails who did a decent job of channeling Pippi Longstocking (a perennial entry in the contest) won the prize. She was cute as a button, and entirely non-threatening. Mrs. Richter was indignant. When she told me about it later she said that my son's presentation was far and away the best that day, and she was quite disappointed for his sake that he did not win. But I thought the other way around. What better way for my blue-eyed, fair-skinned son to get the corrosive effects of structural racism than to lose based on his authentic portrayal of a righteously angry, articulate Black man? It's the kind of racism that is mostly invisible to those of us with White Privilege. Low income people here in Maine, the whitest state in the USA, make claims like, "We may have grown up white, but we certainly didn't grow up privileged." But they did. And White Privilege is a thing, impoverishing our collective spirit and stunting our potential. May my children live long enough to see it laid to rest.